We already mimic them to make fly-fishing lures. But now scientists working on some advanced medical technology believe copycatting one tiny insect could hold promise for repairing human tissues and setting bones. Instead of stitches and screws, doctors may soon call on the next generation of medical adhesives — glues and tape — to patch us up. The inspiration? 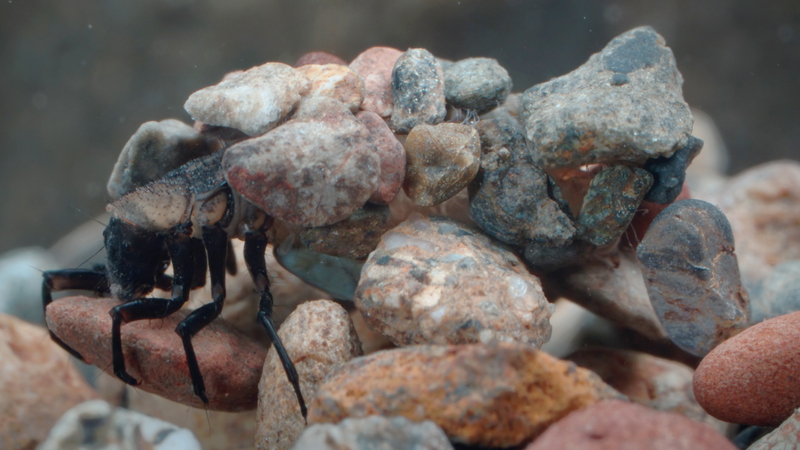 Caddisflies, a type of stream-dwelling, fish-baiting insects that live in creeks all across the United States. The medical adhesives we use today work pretty well outside the body. Attach a waterproof bandage to dry skin, and it will stay put, for a time. Brands such as Super Glue and Krazy Glue, which employ compounds called cyanoacrylates, also resist degradation in water. The challenge for mechanical engineers, however, is making compounds that will stick to things when they’re already submerged. The inside of the human body is a watery environment. People are 60 percent water. Our insides are as fluid as fish tanks, and hostile to chemical adhesives, so doctors use mechanical means to mend bones and sew up internal tissues. “The second you go inside the body, it changes the ball game entirely,” said Ashton. 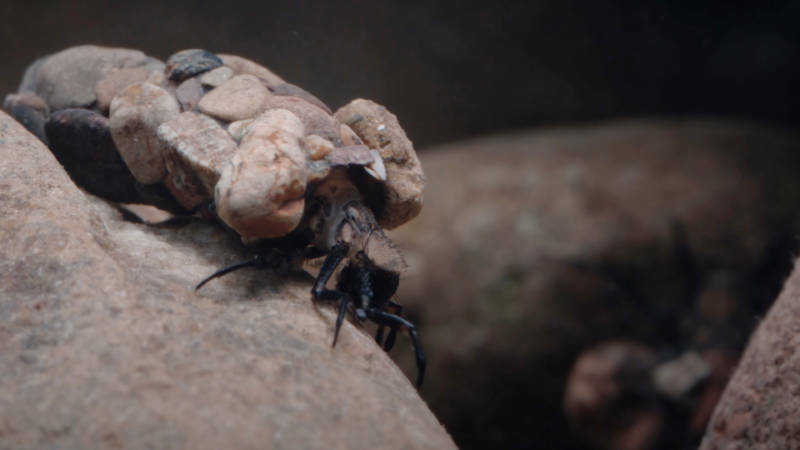 Enter the caddisfly, a stream-dwelling insect equipped with a homespun waterproof tape dispenser. In its larval stage, this industrious builder constructs a tiny tube-like house for itself, called a case, entirely underwater using pebbles and its tape as the mortar. The tape, really a specialized silk, comes from a pair of glands under its chin. Thanks to the qualities of that silk, the case not only holds up underwater, it is strong enough to protect the caddisfly’s soft lower body amid forces many times its body weight. “It’s an extremely fancy tape,” said Russell Stewart, an expert on caddisfly silk also at the University of Utah. 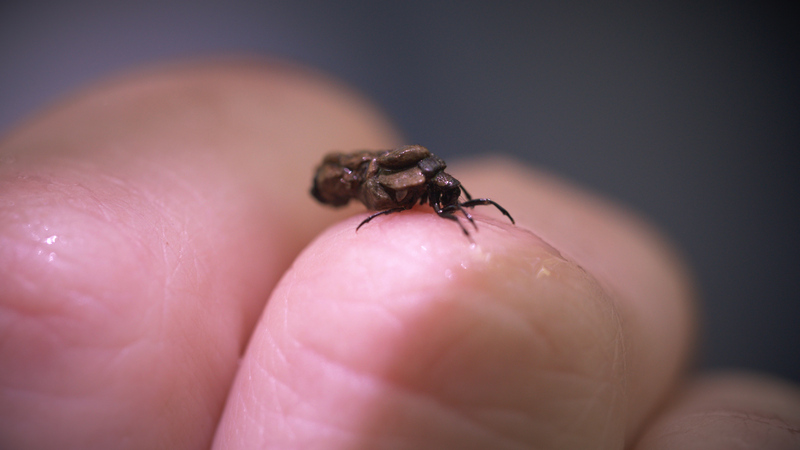 The case-building behavior begins as soon as the caddisflies hatch. 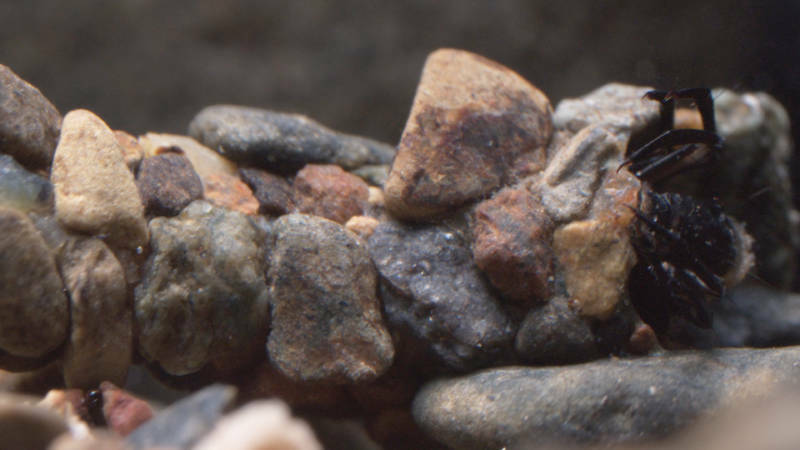 After carefully choosing a starter pebble for its case, the caddisfly meticulously tapes more and more stones together, and the case begins to take shape. California is home to approximately 400 species of caddisflies, and there are some 15,000 worldwide, all of whom use some version of the silk. Any tape, including this one, has two basic components: the flat ribbon, or backing, and the layer of sticky stuff, or the glue. From the materials science standpoint, caddisfly tape is extraordinary in both departments. Though its mechanism isn’t fully understood, the glue part of caddisfly tape forms highly complex bonds, both chemical and physical, with whatever it’s sticking to. As these bonds form, they displace the water where the tape meets the stone, allowing the two substances to stick together. Interestingly, unlike our glues, which generally work better on clean, dry surfaces (like skin), caddisfly glue bonds more readily to bio-fouled surfaces, those already coated with decaying matter and bacteria from the stream. This adhesive system is distinct from that of other well-studied underwater glue-makers, such as mussels and sea cucumbers, and may offer a unique path forward for researchers trying to engineer an underwater fixative. As for the ribbon component of caddisfly silk, it’s resilient, somewhat like a rubber band. The fiber can stretch to twice its original length and still recover. But unlike a rubber band, caddisfly silk returns to its shape slowly. The tape fibers can absorb the forces that would cause another material to snap back violently. Caddisfly silk biomimicry is only in its infancy. With the help of chemical models, Stewart and his colleagues have been able to reverse-engineer a primitive version of the silk's glue component that went on wet in a watery setting, then solidified without losing integrity. One day, a similar compound might be used inside the body to mend soft tissues, like organs and tendons, and even repair hard ones, like teeth and bone. Eventually, the caddisfly larva makes its case into a cocoon by sealing it up at the top with what’s called a “hat stone,” and reinforcing the inside with extra tape. That’s when they’re most recognizable in the wild, according to Mendez, because of their habit of gathering together. “They line themselves up like little sleeping bags,” Mendez said. Like its land-based cousins, the butterflies and moths, from whom it diverged 250 millions years ago, the caddisfly larva then undergoes a metamorphosis and emerges as a winged adult. For now, that’s the only point where most of our lives intersect with the caddisfly’s. Lisa Potter contributed reporting for this article.